Consultant Endocrinologist & Head, Dept. of Endocrinology & Diabetes. By definition, diabetes is a health disorder that leads to excessive thirst and the production of massive amounts of urine. 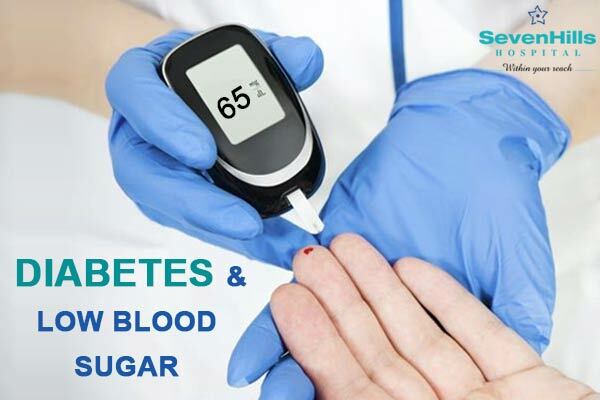 You are said to be suffering from low blood sugar (also known as hypoglycemia) when your blood sugar level falls below 70 mg/dl. There are numerous brand names for each of these medicines. It is practically difficult to include all of them here. So you can either read the label on the back of your medicine strip to check the same, or you can simply consult your doctor if the medicine you're on falls in the above mentioned categories or not. Preventing this disorder is better than having to treat it. When you do exercise, always check your blood sugar. Ensure you have snacks with you. Keep a bedtime snack to prevent low blood sugar overnight. Protein snacks may be the best. Do not consume alcohol without eating food. If you do drink, have only 1 or 2 drinks at the most. How much and what kind of food you should be given. When to call for an emergency help. How to inject glucagon during emergencies. Your doctor can educate you about glucagon. When Your Blood Sugar Gets Low.. Wait for about 15 minutes before eating any more. And do not eat a lot as this can lead to high blood sugar and weight gain. If you're blood sugar is still lesser than 70, eat something with 15 grams of carbohydrate again. If your blood sugar is still low, contact your doctor or visit the emergency department immediately. Do NOT drive to the place by yourself. If the patient is unconscious, then the caregivers need to do the same on their behalf. If you have learned to adjust your insulin doses, change your dose to decrease the likelihood of low blood sugars occurring. If you are still having lows or have questions, schedule an appointment to see your doctor.